CLEVELAND — Interstate 90 drivers are all familiar with the giant whale mural painted on the side of the Cleveland Public Power plant. To some, it may seem a little strange and out of place along the shores of Lake Erie, but its message remains important. 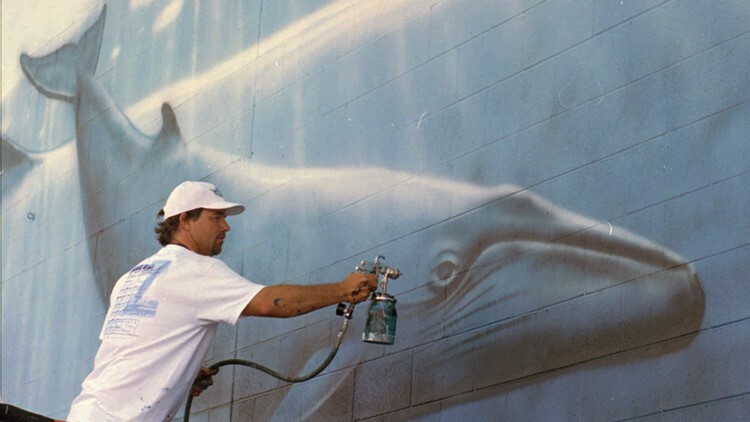 Wyland, the artist behind the iconic whale mural, is partnering with the city of Cleveland to promote water conservation and the need for healthy waterways as part of a national campaign. Wyland will also restore and refresh the mural on the power plant wall. "The idea was, to protect our oceans, we need to protect our rivers, lakes and streams," Wyland said of his Cleveland mural. Wyland is continuing My Water Pledge, a friendly challenge to U.S. cities to save water. Cities with the highest percentage of residents who take the challenge in their population category win, and participants in winning cities can win prizes. Wyland will also provide a guest lecture and a day of mural painting with more than 80 Cleveland Municipal School District students. "Water's going to be the most important issue for 100 years and we need to get in front of it. Cleveland is doing that and I can't think of a better city to launch this initiative today," Wyland said. Visit MyWaterPledge.com to learn more.